Courageous, Outrageous and extremely contagious! 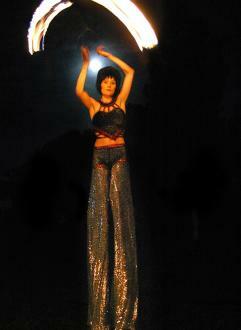 The combination of Fire Dance and Stilt Movement creates a unique and spectacular image for an outside arena. 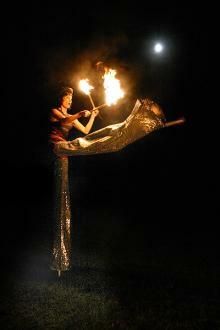 Coordinating arm and leg work, Fire on Stilts creates a beautiful sense of flow and movement, quite unbelievable, and larger than life! 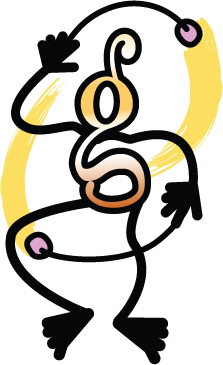 Available in Cabaret, Burlesque or Cyber Characters. NB This act requires a ground person to assist with the handling of equipment up to performer....This person can be provided by us if needed.